When the warmer months finally come to grace us with their presence it’s time to change more than just the way we dress. With less layers of clothing and more floral prints also come bright and fun colors of lipstick. There are so many pretty colors out there that aren’t just perfect for spring but can cross over into summer as well. 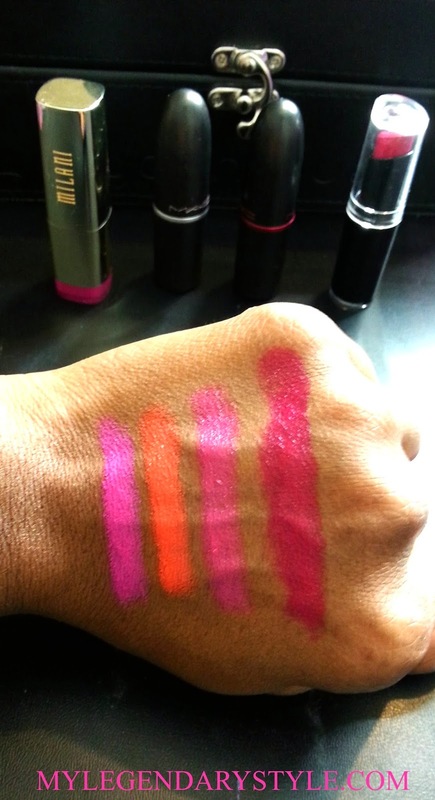 I have so much fun with bright makeup I had to bring you my current must have lipstick colors for spring and summer. I’ll admit when I first heard Miley Cyrus was going to have a Viva Glam color I was not rushing to check it out. As a matter of fact it took me a few weeks before I actually saw it and when I did I had to have it! When I tried it on for the first time I instantly fell in love with the gorgeous hot pink. The best part about this lipstick is you can layer it. The first coat is almost like a lipgloss and is pretty and subtle but once you go for that 2nd coat it’s life changing. Lets face it MAC is pretty amazing. This awesome orange lipstick is proof of how great they really are. I’ll be the first to admit this color is not for the faint of heart and not great for all skin tones but with the right lipliner I guarantee you’ll find the perfect combo that best suites you. For me I add a bit of red lip liner to tone down the orange just a little and I rock it with just a cat eye and lashes so the focus stays on my lips. This was the first time I’ve ever purchased any lipsticks from Milani. Now I’m a huge fan. I usually find myself reaching for matte lipsticks these days more than ever before. So I had to try this gorgeous pink color. It is pretty bright but perfect for those that aren’t shy about color. Like with most matte lipsticks this can be drying to your lips so I highly recommend you use a light scrub on your lips to exfoliate then moisture really well before applying the matte orchid or any other matte lipstick. Last but not least is this little gem I picked up from Wet N’ Wild. This is the one that started it all for me this spring. It’s a matte reddish pink color that looks great on just about everyone. This color is so fabulous and inexpensive I had to go back and pick up an extra one just incase it sold out and I’d be lost without it forever. I know a bit dramatic but that’s how much I love this color. 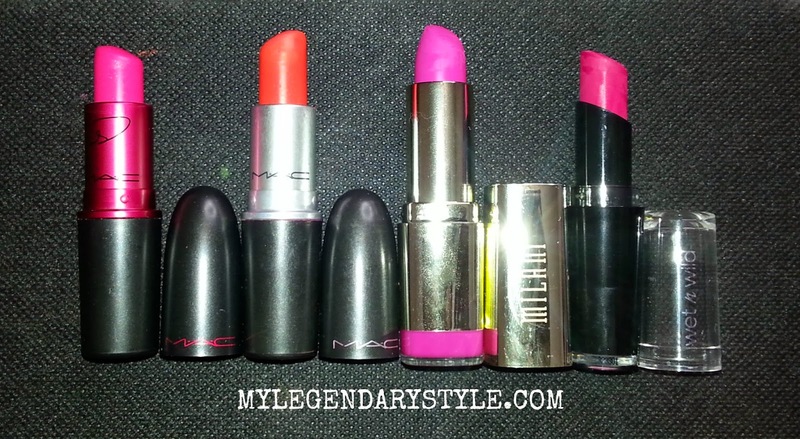 There you have it, my must have lipstick colors for spring and summer. I’ll definitely be doing some makeup looks in the near future using each of these. Have fun playing in color and enjoy the beautiful weather! MAC is my all time favorite lipstick brand, but I do love that Milani color:) that matte collection they came out with was hit and miss for me, but that one is one of the best colors I think! Loving a bright and colorful pout this season. I gotta invest in some of these shades. The morange is my favorite! I love bright red with orange hues, and just accentuate my eyes with liner and mascara. I have never tried Wet N Wild lipstick! Now I have to.